Outdoor fireplace ideas are a dime a dozen, but what do you do when it's time to make a decision? 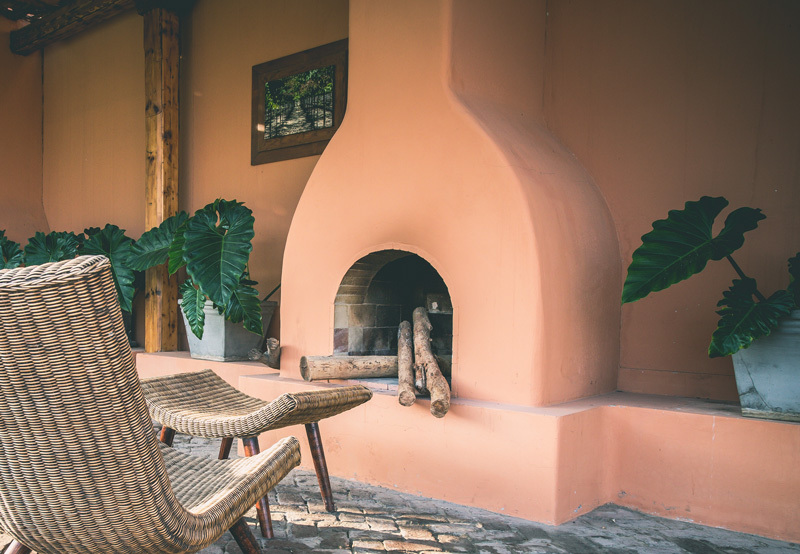 Whether you are looking for a fire pit, an outdoor fireplace, or something in between the two, it can be a little daunting to decide what works best for your space, and budget. Don't worry though, because we have a number of great outdoor living products in store for you. It does not matter if you have grand plans for an entire makeover of your backyard or patio area or just adding a little pizzazz to the exterior of your home, you will have many questions. Some of those questions will include: where do you start with an outdoor fireplace? What are the different types? How much does an outdoor fireplace cost? What about fire pits? Is there something in between the two? Where can I see some pictures of backyard fireplace ideas? With just a little patience and the information in this guide, you will be able to decide what is best for your outdoor area as well as learn a few tips and tricks on the way. What Works In My Yard? A piece of solidifying your plans is judging what fits the area. For example, if you have a large patio that has a free-standing island or a dividing wall, you might desire a prefabricated gas or wood-burning fireplace. This is different from if you have a smaller patio that lacks a wall to place an outdoor fireplace on. A fire pit would be a better fit for that configuration. There are many hearth appliance options available for the redesign of your outdoor space. That number of choices can be intimidating if you are unsure of the benefits and downsides to each. Fire Pit or Fireplace or Something Else - What's The Difference? After getting an idea of what will work for your space, you will need to confirm which is the best for your concept. This includes determining what type of unit you would like to feature on your patio, in the garden, or any other outdoor space. Are you looking for a quiet oasis, warmed by the glow of a fireplace in your courtyard? Or are you looking for the ease of a fire pit you build yourself, straightforward and perhaps more inexpensive than its counterpart? Do you want your hearth appliance to be a permanent feature or a portable convenience? Alternatively, you could also consider a combination of the two. 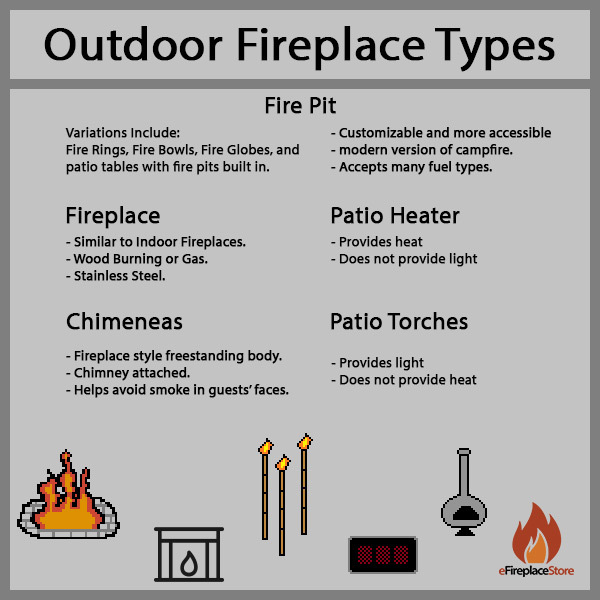 If you are unsure about which is best suited for you, take the time to contemplate the differences between the various types of outdoor fireplaces, briefly explained below. A fire pit is a modern take on a campfire and a popular choice for DIYers. Fire pits come with a variety of ways to customize them, leading many to consider them a more accessible option. This includes, but is not limited to patio tables with fire pit, fire rings for fire pits, fire bowls, fire globes, as well as optional stone enclosures to give it a more rustic appearance. There are even accessories available so you can cook on them as well! Fire pits come equipped for different fuel types as well, depending on what you need. Wood, propane, ethanol, and natural gas burners are available. Some wood-burning models can even be converted to gas! Unfortunately, the reverse is not true; in order to switch from gas to wood burning, you would have to purchase or create a new fire pit. You can review the choices available to you for fire pits at eFireplaceStore. A fire pit is a modern take on a campfire and a popular choice for DIYers. 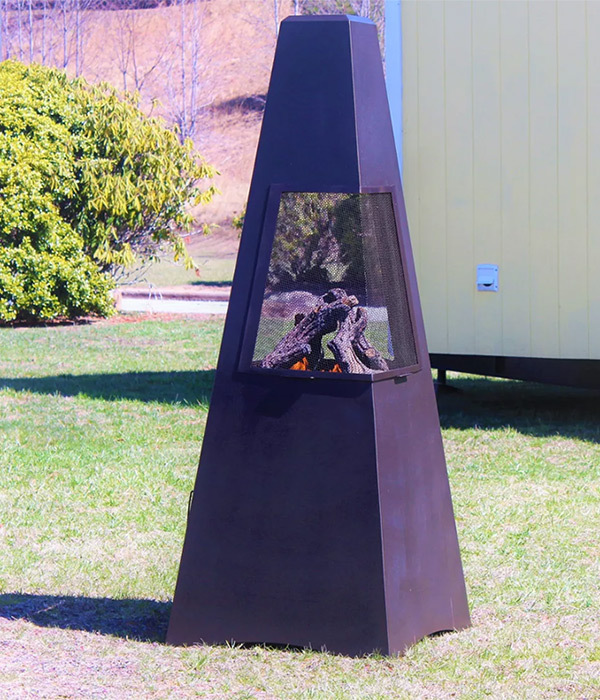 An outdoor fireplace typically refers to a prefabricated appliance that can either be gas or wood-burning, similar to traditional indoor models. Made from stainless steel for weather resistance, these are popular choices to add a little additional charisma to a patio, gazebo, or dividing wall. At eFireplaceStore, we have a variety of outdoor fireplaces that you can review and choose from . However, please scrutinize the necessary provisions and rules for installing either a wood-burning or gas prefabricated fireplace in your space, explained further below. Other options you might want to consider for your outdoor area include chimeneas, patio heaters, and patio torches. Chimeneas, viewed as a pleasant mix of both the fireplace and the fire pit, are a unique option for your outdoor living space. They feature a fireplace style body and a chimney that directs smoke up and away from you and your guests versus leaving the smoke hanging around. Patio heaters are best suited for providing heat but not light to your outdoor space, while patio torches are suited for when you want the light but not the heat from a decorative appliance on the patio. Other options you might want to consider for your outdoor area include chimeneas, patio heaters, and patio torches. Once you establish which piece you desire as well as your budget, you can proceed with selecting your ideal outdoor fireplace plans. The next step in your outdoor makeover is consulting the appropriate professionals to proceed, especially if you are looking to install a natural gas or propane fire pit or fireplace. 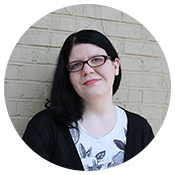 We also recommend looking into local codes, policies, and regulations before proceeding. Also, consider giving our NFI certified technicians a call to make sure you acquire the correct parts for your hearth appliance. These technicians will be able to guide you in the selection of what is right for you, as well as assist you with questions about what hearth appliances and accessories will meet your needs. Our technicians will also be happy to assist you in putting together a custom component package that will fit your needs. As stated before, there are two types of fire pit: wood burning and gas. In this section, we will cover how to create and build your own. Please be advised again that you will need to follow all applicable codes and regulations for both types of fire pits. This includes, but is not limited to, local building codes, ordinances, and homeowner association guidelines, as well as the utility company to avoid any power lines. As a note, for gas applications, you can choose to use a basic fire pit burner with no pan, just building an enclosure similar to a wood fire pit then back fill with stone. 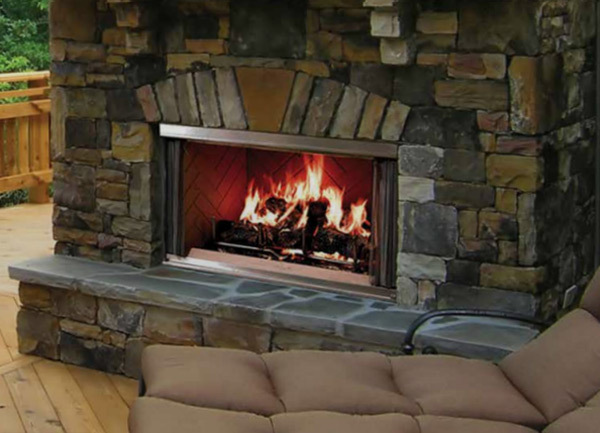 eFireplaceStore also offers drop-in systems that have a gas control valve, pan, and burner system as a complete system. An example of this is the best-selling Napoleon Patioflame Stainless Steel Outdoor Firepit. These are more expensive, however many find that the ease of installation is worth it, as well as giving you the option of a wall switch or remote control valves. eFireplaceStore also offers drop-in systems that have a gas control valve, pan, and burner system as a complete system. We will start with wood-burning fire pits. One common misconception for wood-burning fire pits is that you do not need to have special clearances or regulations - that is incorrect. Checking these codes will avoid hassle later. Before digging for an in ground fire pit, consult your local utility company locate service to identify any buried lines or pipes. Once you have chosen a spot for your fire pit that is away from any low hanging trees, shrubberies, or other structures, it will be time to mark the location for either digging your in-ground fire pit or placing the first layer of wall stones. It has been recommended to dig up at least 12", but ultimately you will decide after considering any regulations. How deep will you want your fire pit to be? If you do dig a hole for your fire pit, be sure to tamp the ground to make sure it is level. One common misconception for wood-burning fire pits is that you do not need to have special clearances or regulations - that is incorrect. Now, you will lay out the paver stones. You will want to lay them out in a circle the approximate size and shape of your fire pit, in the hole if you have chosen to dig one. It might take a little bit of Tetris to get everything to fit, but once you have the base completed, you will add the sand in to fill in the cracks between the pavers. You will need an even layer so make sure it is level by using the tamper and level. Once you have determined everything is level and filled in, you will build up the walls of the fire pit with the other wall stones. A suggested height for the wall stones is 12", but again, that will be determined by your local codes and your preferences. When positioning your stones, it is a good idea to create 2 or 3 small gaps all the way around the enclosure to allow air to enter the fire ring for combustion. You can do this by leaving gaps in the stone ring, digging small tunnels to lead under the ring, or using a prefabricated fire pit vent. Doing so is important to ensure the fire pit has adequate air flow, preventing either a fire that is too small or too smokey. After you finish that step, you will be pretty much done! Just add wood, and you have a functioning wood-burning fire pit. As a note, if you are uncomfortable creating your own enclosure for either fire pit or an outdoor fireplace without guidance, some big box retailers or stone suppliers offer classes on how to set and mortar stone. Additionally, some landscaping firms will also assist in building enclosures for your backyard fireplace ideas. Some might think that building a gas fire pit is as simple as creating a wood-burning one. However, this is not the case. With a gas burning fire pit, there are a few additional steps needed both before and during the construction. As with the wood-burning fire pit, you will need to check with any applicable codes, regulations, and clearances before continuing the process of creating your fire pit. If you have any questions about them, consider speaking with a trained professional or certified contractor before proceeding. By staying within these requirements, it will make sure that your fire pit works optimally as well as safely. You may also contact our NFI certified technicians at eFireplaceStore if you have any other additional questions. As with the wood-burning fire pit, you will need to check with any applicable codes, regulations, and clearances before continuing the process of creating your fire pit. Once you have done so, you should have a good idea of where your fire pit will reside. Now you will need to select the fuel type. There are a few things to consider with this as well. You may decide between either natural gas or propane as the fuel for your fire pit; each has benefits and drawbacks. Natural gas is cheaper in the long term, but the unit must connect to a natural gas line. On the other hand, propane fire pits offer the ability to move your fire pit as desired when linked to a small propane tank but is more expensive to continually fuel and requires its own ventilated enclosure for the propane tank. Once you consider all of this information, you can continue the selection of the spot designated for your fire pit. It may not be common knowledge but gas fire pits usually have specific over height clearance requirements for installation. So if you are looking into placing a fire pit under a covered patio, arbor, or pergola, this is an additional concept to consider. This information will also need to be available for a technician if you choose to call in to discuss the installation with them. So, you have the spot for your fire pit as well as the fuel. What next? Now, you need to find the correct type of drop-in for your fire pit. Many can be utilized as both using natural gas and propane, but it is vital to select the correct one - no one likes to spend extra money when unnecessary. Many fire pit kits on eFireplaceStore will come complete with the burner; these modular assemblies consist of the burner tube, pan, and gas valve assembly, with the options of electronic valve systems or standing pilot systems. They are popular due to removing the guesswork of matching components. However, you will want to make sure that you have purchased all the required parts before starting the installation. 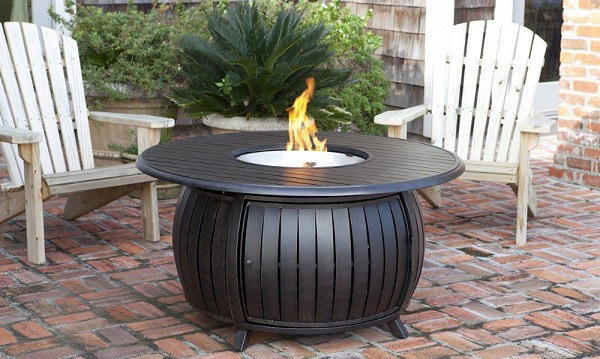 If you would prefer to build your own custom unit, we have a wide variety of fire pit components including individual burner assemblies, pilot assemblies, media, and support pans. There are also different gas control systems, like remotes and automatic timers, available. If you need any assistance with making your own custom unit, please contact our NFI certified technicians, and they will be more than happy to assist you in selecting the correct components for you. After receiving all the parts of your fire pit and checking them for any flaws that might impede the use of them, it is time for creating the fire enclosure; this is a very similar process to that of a wood burning fire pit. First, you will need to decide the precise location you desire your fire pit to be. The next step will be to measure out the dimensions of your fire pit, which is based on the size of your insert. You will need to leave extra room around the burner, based on manufacturer instructions, in order for the hearth appliance to consume oxygen. Once you have accommodated for all the room needed, you will be able to build the desired enclosure, making sure, again, to follow the advice of professionals and the manufacturer. There will be a little bit of digging involved to hold the gas line for your fire pit, around 6 inches deep, though that may vary based on requirements from the manufacturer. Again, this will be something you will need a professional to assist you with to make sure there are no issues with this part of the installation. Building your preferred shape out of stacked bricks, cinder blocks, or concrete pavers will allow you to customize your fire pit further. Other materials might seem appealing, but while gas flames do not generate flying embers or sparks, you must consider the heat produced by the fire pit. If located too close, vinyl, as well as other plastics, can melt. Keep that in mind as you chose the materials for your enclosure. Once you have decided on your materials, this is where your creativity can shine, making the fire pit look precisely how you would like. Once you have the clearances measured out and the enclosure mostly built, it is time for the next step: installing the burner or burner components. To do so, we recommend having an experienced contractor or certified technician. Working with gas is dangerous if you do not know what you are doing. Also, by following the installation guide, you will also help in reducing the danger if you are experienced enough to do a self-installation. After installation and making sure that your fire pit meets all codes, requirements, and guidelines, you will need to test it to make sure everything is working properly. After installation and making sure that your fire pit meets all codes, requirements, and guidelines, you will need to test it to make sure everything is working properly. Again, this should be done with the supervision and guidance of a certified person. When the test is successful, viola! 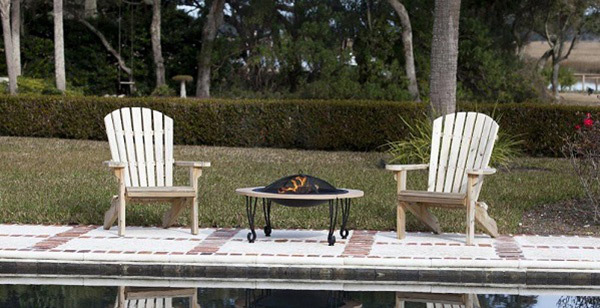 You have a new, functioning fire pit that you can now show off to friends and family! Outdoor fireplaces can be just as confusing as their indoor counterparts. There are two main types, gas and wood-burning. And, just as with the previously discussed fire pits, there are a few things to consider before having one installed in your outdoor area. Some may be obvious while others on the more subtle side. In this section, we will discuss these considerations as well as giving you additional information about these hearth appliances. 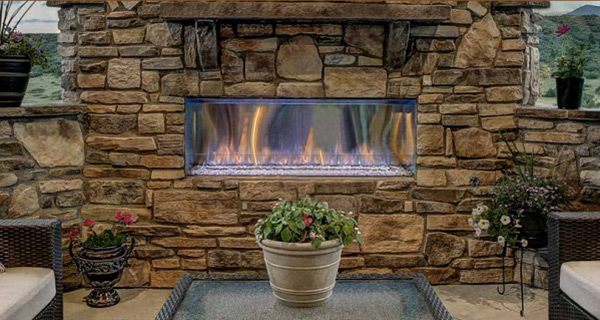 As with indoor gas fireplaces, outdoor ones can use natural gas, propane, or even ethanol. 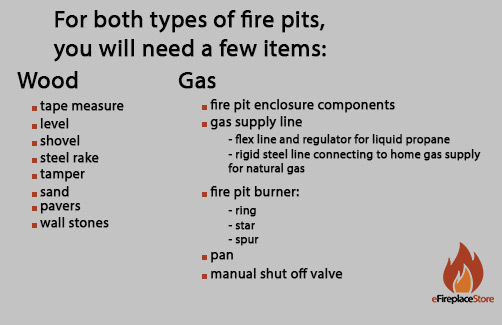 Similar to choosing the fuel type for your fire pit, you must know what type of fuel you will be using. As previously mentioned, each type has their own benefits and drawbacks, so you must decide what is best for your application. Be sure to consider where your hearth appliance will be placed, venting requirements, and other requirements. Once you have chosen the gas type, now you can begin looking at the different selection of prefabricated gas fireplaces. For an outdoor setting, these will typically be vent free systems that mimic the look of a traditional fireplace. Made of stainless steel for weather resistance, these are very versatile. They can be built into a free-standing island, faux chimney, or dividing wall because there is no need to vent them. Another popular place to place these is in dividing walls in between a patio and pool area. Be sure to consider where your hearth appliance will be placed, venting requirements, and other requirements. As with any time you are working with gas appliances, be sure to check with local codes and make sure that your appliances meet all requirements in your area. We also highly suggest checking with our NFI certified technicians to double check you have everything required for a complete and safe installation. Wood-burning fireplaces are not dissimilar to their gas-fueled counterparts. However, a few of the rules are different, and those differences are worth noting. When selecting the prefabricated wood-burning fireplace for your outdoor area, you do not have to worry about fuel type. So that is one step taken out of the equation. Similar to that of the prefabricated gas outdoor fireplaces, most of the wood-burning ones will also be prefabricated. Similar to the outdoor gas models, these will be constructed of stainless steel, but are built solely for wood burning applications. Many models will also allow retrofit with vented gas logs. These must be vented with a prefabricated chimney, meaning they must be located in a chimney chase that had direct overhead access to open air. These work well for free-standing chimneys against pergolas or gazebos as well, as they usually only require a minimum chimney height of 4 feet. An important thing to note is that if a wood fireplace is installed within 10 feet of the house, the chimney system must follow the 3-2-10 rule to prevent issues with excessive smoke enveloping the home. 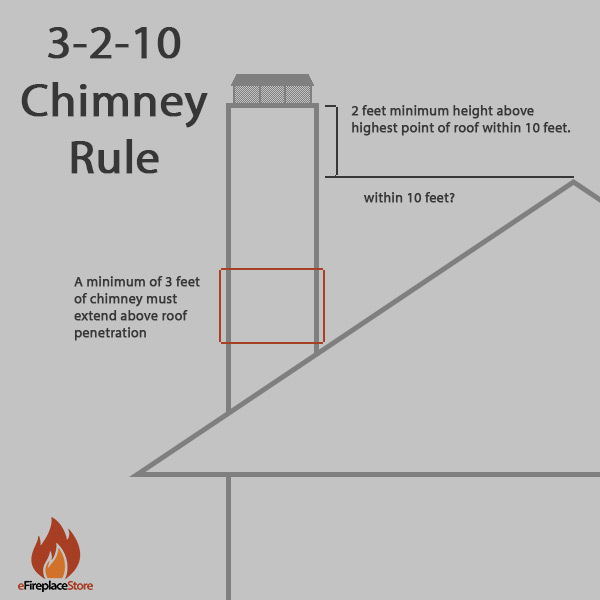 This rule, simply, means that the chimney must extend three feet above the roof penetration on the shortest side. The top of the chimney must also be two feet higher than any portion of the building structure within a ten-foot radius. Once you have found the ideal location for your wood-burning outdoor fireplace, it is time for installation. Find a certified technician or professional contractor in your area that will be able to assist you in following all codes and regulations in your area. Moreover, if you have any additional questions, you can always use eFireplaceStore as a resource, either by emailing our technicians or giving us a call at 1-800-203-1642. Now that the whole decision process is complete, everything is installed, and you have realized your outdoor fireplace design idea, you are ready to enjoy your fireplace and show it off to your guests! Or maybe even share it with us on social media!